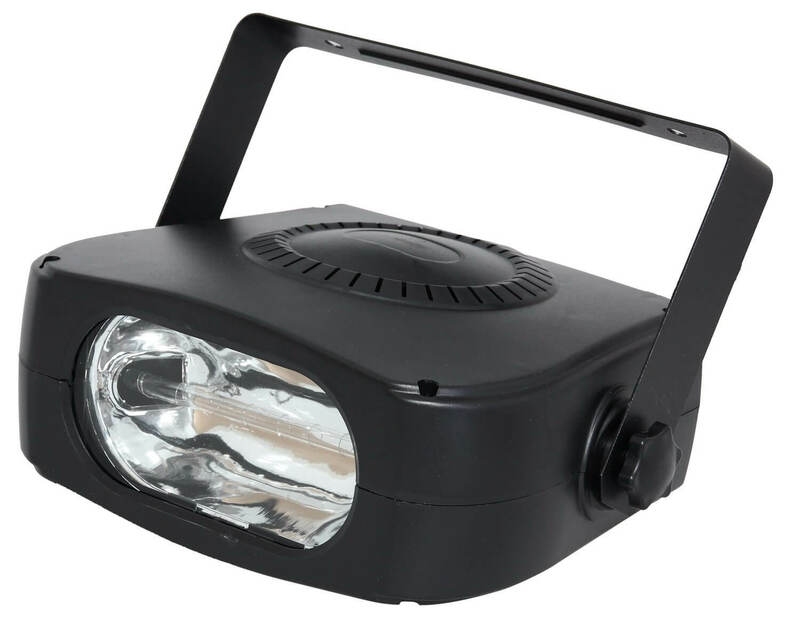 Strobe light with 150 W power. Adjustable flashing speed. Can be mounted on the wall or ceiling using the mounting bracket included in the box contents.